Drew Angerer/Getty ImagesSens. 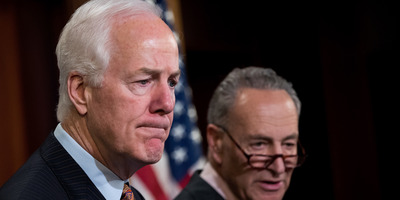 John Cornyn and Chuck Schumer. The US, Canada, and Mexico’s new trade pact looks a lot like NAFTA. Here are the key differences between them. With a majority, Democrats would have much more leverage to scuttle the deal. Party leaders have already said that the new labour and environmental standards in the updated deal will receive close scrutiny.